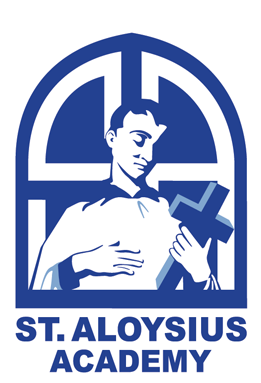 St. Aloysius Academy, established by the Sisters, Servants of the Immaculate Heart of Mary is a private Catholic elementary school committed to the spiritual, moral and academic development of each student. 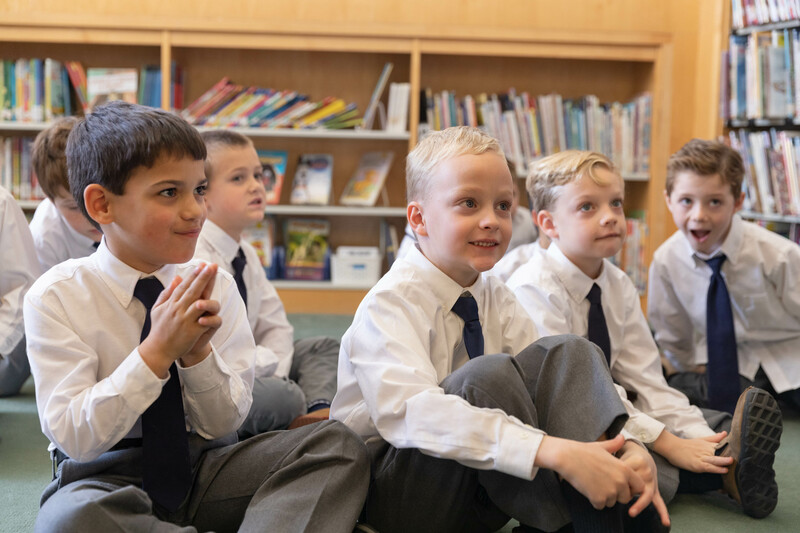 The Academy prepares young boys to assume with confidence roles of Christian leadership and service as men for others within a rapidly evolving global society. Through dedication and commitment of a caring and professional faculty and staff, partnering with supportive parents, each child is led to embrace, and to develop his God-given gifts and talents to be prepared to meet the opportunities and challenges of the 21st century. All students as well as all other members of our school community are created in the image and likeness of God. In this school, Jesus is the center. He is the unseen, but ever-present teacher in our classes with Mary, as our model. The Academy calls each person to live Magis, in the spirit of St. Aloysius Gonzaga, through the IHM charism graces of love, creative hope and fidelity. The precepts of the Peace, Awareness, Witness, Service (PAWS) student pledge, which include recognizing and respecting the uniqueness in each other, are fundamental to the development of our students as Christian leaders in a digital and global society. Opportunities are essential for the students to develop an ongoing relationship with Christ through Catholic doctrine instruction, private and communal prayer, and preparation for the reception of the sacraments of Reconciliation, Eucharist and Confirmation. The principles of Catholic Social Teaching permeate the school culture and include service projects, opportunities for Christian leadership, as well as classroom instruction. Our students are encouraged to perceive themselves as unique individuals capable of reaching their highest potential in their personal and academic development. The Academy recognizes the need to empower and to inspire the students to assume active roles and responsibilities in their school, family, community and nation. Education is a sacred and collaborative partnership among parents, administration, faculty and students. As a result of his Catholic education at St. Aloysius Academy, the graduate lives out the beliefs of the Academy. The graduate exemplifies the IHM Charism of love, creative hope, and fidelity through his commitment to brotherhood, family, and faith. The graduate makes decisions with Jesus’ example in the forefront of his mind. The graduate commits to justice, and brings the principles of Catholic Social Teaching with him into his future endeavors, opportunities and challenges. The graduate realizes and responds to the need for God in his daily life. The graduate is present, mindful, compassionate and reflective in day to day interactions, and contributes responsibly and cooperatively to our diverse, global and digital communities. The graduate perceives himself as a unique individual with gifts and talents and has a growth mindset. The graduate works confidently within his own potential, and sees himself as a lifelong learner who can take his own experiences and make the world better. The graduate celebrates the God-given qualities of his peers through his words and by his actions because he is able to see God in all people and all created things. The graduate derives morality-driven responses to our national and global dilemmas. St. Aloysius Academy is the best thing we ever did for our son.